This wonderful edited volume deals with a newly (in 1986) discovered archive in the Austrian War Archive, composed of 53 pages of maps drawn by Venetian engineers during the second Venetian rule of Greece, 1685–1715. I bought this book because this period fascinates me and I know too little about it, but it’s also directly relevant to our project, because Argos and Nafplio were Venetian possessions, and so too were the villages of our survey area. 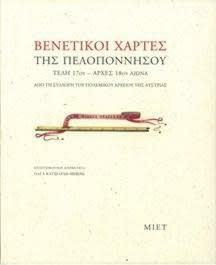 I have read a little bit about the Venetian archives for the Peloponnese, in the books written by Panagiatopoulos (Πληθυσμός και οικισμοί της Πελοποννήσου: 13ος-18ος αιώνας ) and Liata (Αργεια Γη ), but the maps are especially interesting for the survey because of their topographical content. I’ve just read Liata’s fascinating chapter about the region of Argos in these Venetian maps and thought that I’d write a bit about my observations. First, the Venetian maps don’t include many details from our survey zone. Basically it indicates the villages and toponyms that lie on the borders of the villages. I’m not sure if this means anything; it could mean, for instance, that this area wasn’t very interesting, or very wealthy, or it might just be an accident of preservation. As Liata points out, there are a lot of details that are recorded in Venetian archives that don’t appear on the map. Second, not a lot seems to have changed! The villages are located more or less where they are now. It’s possible that the villages have moved somewhat (although we don’t have any archaeological evidence for that). The map isn’t detailed enough to say for certain, but certainly the map is consistent with the idea that the villages haven’t moved. The names haven’t changed much, either! Modern Λυρκεία, which was called Kato Belesi until 1938, is referred to as “Cato Belessi”, and the names of Malandreni and Schinochori also haven’t changed. An area now called Μουζάκι is identified as Musachi. Interesting, the village now called Sterna is identified as Grias to Lithari: i.e., Γριάς το Λιθάρι (“the old lady’s rock”). What’s really interesting is that this toponym still exists! 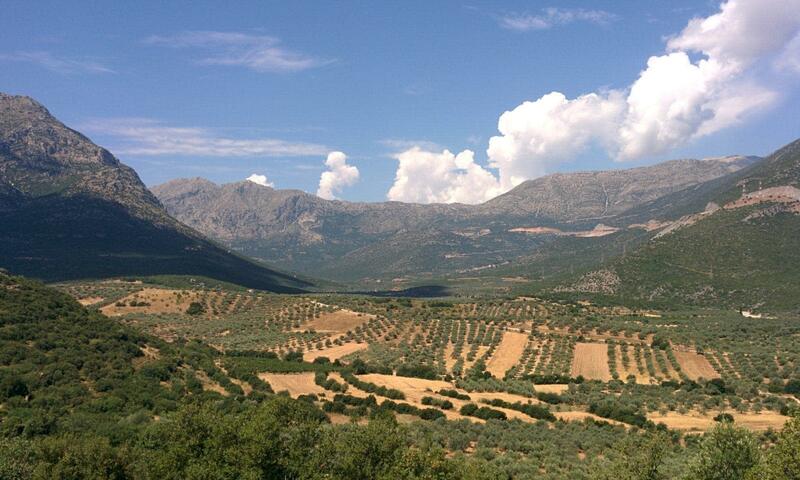 It’s also the case that the larger villages now were larger in the early 18th century (Kato Belesi [pop. 511 in 2001], Malandreni [pop. 540]), and the villages that are smaller now (Sterna , Schinochori ) are listed as being deserted (“desabitata”) in the early 18th century. So contrary to our expectations, perhaps, there’s a lot of continuity in that the bigger villages stay big through the modern period. Third, and finally, there’s more work to be done. The local toponyms that run along the borders of the villages are sometimes known, sometimes unknown, and I suspect that they have a story to tell, and as Liata effectively shows, the textual accompaniments to these maps, in connection with the maps themselves, are important sources that enhance our historical understanding. It’s really amazing that such an important historical source remained hidden until so recently… I’m excited to read the other chapters of the volume. If you’re at all interested in the Venetian period or the Peloponnese, you really need to get your hands on this book.